White Henryi Clone. (L. henryi x L. leucanthum var. centifolium) Leslie Woodriff 1945. This long-time garden favorite was known the world over for its hardiness and disease resistance. 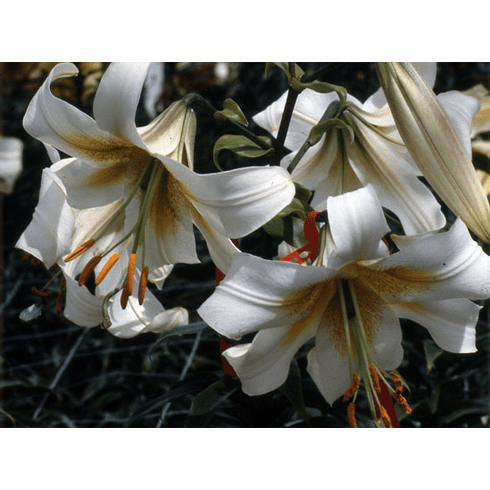 In 1986, 'White Henryi' received the North American Lily Society Award of Merit. Photo inset #1 L. henryi, the seed parent. Photo inset #2 is L. leucanthum var. centifolium, the pollen parent. Photo inset #3 Stem of 'White Henryi' in propagation field.